No matter who you are, where you live or what your walk in life might be, at some time in your life you will need to deal with anxiety or worry and how to overcome it. It might be work-related. It might be grief related. It might be parenting related. It might even be anxiety due to relationships. Because of this, anxiety is often the subject of conversations, motivational speaking, course work and even a topic that is very popular in the Bible. 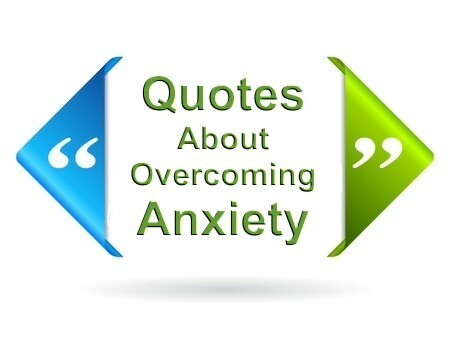 Overcoming anxiety and worry is something that many people desire to do. I have been collecting some Christian quotes about overcoming anxiety and here are what I have chosen as my top 15. Resources – Scripture quotations are from The Holy Bible, King James Version. Scripture quotations are from The Holy Bible, English Standard Version® (ESV®), copyright © 2001 by Crossway, a publishing ministry of Good News Publishers. Used by permission. All rights reserved. Superb collection Pam. As always, wonderful job and we need these today because often when our problems are too big our God is too small but if our God is as big as He really is, our problems and anxieties are miniscule in comparison. I think it important to define the difference between anxiety, fear and anguish. These are not the same. Jesus certainly agonized in the Garden before His impending Crucifixion. Was He anxious? I think not. It is difficult to distinguish the difference at times. Did Job suffer anxiety when the news of the catastrophes reached him, culminating in the news of the death of all of his children? Did Israel suffer anxiety when news was brought to him that his son Joseph had been most likely killed by wild beasts? How about when Laban was chasing him or his brother Esau was approaching his family with 400 men? How about when his grandfather, Abraham, had Sara pretend she was his sister so the king of the land would not supposedly kill him to obtain her for wife? Wasn’t he suffering anxiety over this presumed possibility…I think so. These are questions not easily answered. Were these people in William Law’s words, “Out of God’s will” at those times. I will not take the space to elaborate. I think these questions would be better answered by you, as you raised the topic. I believe we need to start with some definitions. Otherwise these men of God you quote sound like presumptuous unfeeling robots who say to the rest of us lower humans to, “get a grip”. I am compelled to expand on my previous thoughts. The great message of the Bible, the Word of God, is for humanity to “fear not”. It is a message of Redemption for the lost. We are weary, we are the tempest tossed, the burdened, suffering in this life with every sort of illness, hurt, calamity, and sorrow culminating in our physical deaths. We are also to enjoy this life and all of its blessings….family, love, sunshine, rain and the labor of our hands… “And also that every man should eat and drink, and enjoy the good of all his labour, it is the gift of God”(Eccl 3:13). Remember Tyndale, the man of God who dared to print the Word of God into English so the common man could read the Scriptures? He was rewarded with burning at the stake by the religious authorities of the day. Do you really believe that he was not afraid or fearful when they struck the match and the first flames burned his body? Do not misunderstand, these men were also incredibly bold in their faith, but they were human. So how do we reconcile the admonitions cited in your article to “fear not”, when we are trapped within this earthen vessel which is designed to fear? I will offer an explanation, which might be wrong, although it makes much common sense to me. His Word He gave us is our comfort food. It is our loving Father saying “Shhh…” to us as we go through the storms of life. It is our pillow to sink our heads into, it is our close brother who has our back, it is our ombudsman between ourselves and the world. It is the Father saying, “Fear not”. Have you ever wondered why the Father says, “Fear not” so many times in Scripture if he does not expect us to fear? Of course we fear, we are nervous, anxious, fearful and suffer anguish in this life, but our comforter says, “Shhh…” to us through His Word, and the indwelling Presence of His Holy Spirit in the believer’s heart. I always look for your replies, are you a Pastor? I requested prayer on a previous article and you were the first one to reply. I like how you write in terms that are easy to understand. I am glad you are part of this community, you have helped me along with the the original article. Thank you and I am still grateful for your prayer as well as Brother Jack’s. God Bless you! I have hit 60 but feel like I am just getting started so we are all very close to the same age. Thank you Joni for your very kind words and I so agree with you about Doc. He is truly someone special and one of the first to look up in the kingdom and now, I can say that about you too. May God richly bless you Joni…and cc that to Doc. You are loved. Just as we get angry God says that we must control our anger. Just as we fear, God says we must seek comfort in his word and it will help for the fear to subside, maybe not totally subside because God understands we are of the flesh. Next post: What Does It Mean To Worship In Spirit And Truth?